Many customers are turning to online review sites like Yelp and Angie’s List to help them make a more informed purchasing decision. These customers are reading the reviews left by other customers to learn which products to buy, where to go to dinner, and which contractor to hire, among other things. Your business needs to realize that online review sites are not going away, and that they are giving their customers the ability to share their opinions with thousands—if not millions—of people. Online review sites are not just beneficial to consumers, they’re also very beneficial to your business, and here’s how. Online review sites give your business additional online exposure. Online review sites are websites, and they are crawled by search engine spiders. When your company can be found on other websites, it serves as additional exposure for your business. If your company name is entered into a search engine field, not only will your own company website appear, but your company’s page on these review sites can also appear, which is great advertising for your business. Online review sites can let you know what your customers want. Many businesses fear the idea of receiving a negative review, but they too can be beneficial. Read the online review carefully and listen to what the customers complains about, and use this information to know what your customers want and what your business needs to do to make your customers happy. If your customers are complaining about poor customer service, maybe you need to take a look at your employees and see if they’re really providing your customers with the best service. If you notice a few customers say that they wish your restaurant had a late night menu, maybe that’s something that you should consider doing. Online reviews are a great way to receive customer feedback and ultimately help your business. Online review sites can increase revenue. Today’s consumers are listening to the opinions and recommendations of total strangers on these review sites. If your company is receiving rave reviews from your customers, it is going to influence others using the review site to choose your business over your competition. This is going to translate into increased revenue for your business. 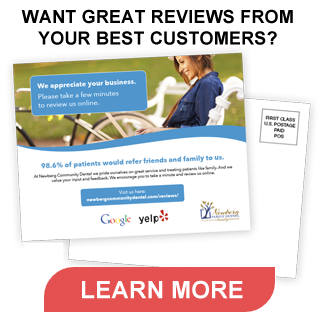 Online review sites can help you advertise. Most online review sites will allow your business to create advertisements that will be placed throughout their site. Though you do have to pay for this perk, online review sites will ensure that your ads are placed in optimal locations. This means that your ad may get placed on the company page for one of your competitors. If a visitor doesn’t like what they see on the competitor’s page, they can see your advertisement and be swayed to visit your establishment instead. Customers have been using online review sites to help them make a better purchasing decision, but you need to realize that online review sites also provide your business with plenty of benefits too. From additional online exposure to increased revenue, your company needs to start claiming your business on online review sites and monitoring them so that you can reap all of the benefits. Caleb Grant is a business professional and reviews tracker. He often shares advice about online reputation management and review tracking.